This small school is on the drawing board. We are trying create a homely environment with a central open to sky green court with seating steps and each class room opening to a green space where the children can do the planting and gardening of their own. The two storied building will have similar exterior spaces on the first floor as well. The academy tries to limit the school to a manageable size and the stress is on quality rather than quantity. 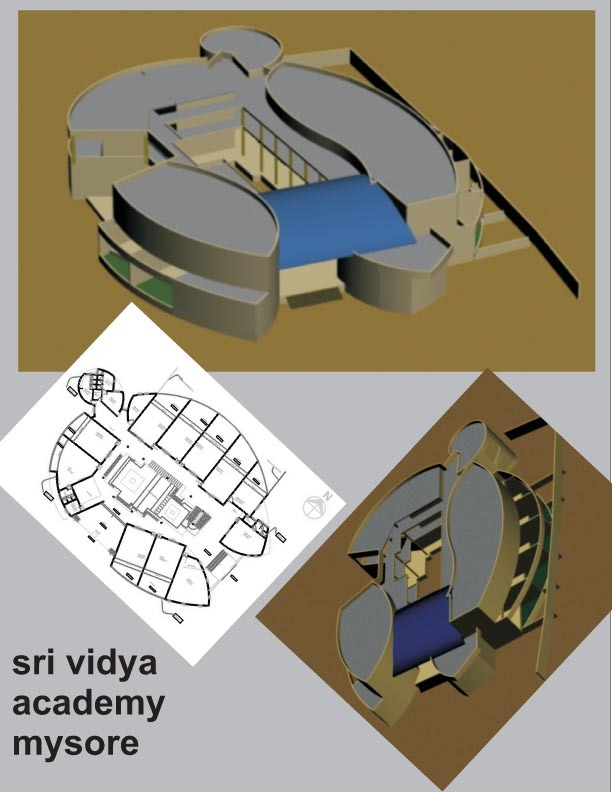 This entry was posted on Saturday, September 5th, 2009 at 7:19 pm	and is filed under institution, projects in the anvil 2009, schools and tagged with court yard spaces, intimate spaces, intimate spaces for learning, learning spaces, open spaces in schools, school. You can follow any responses to this entry through the RSS 2.0 feed. Both comments and pings are currently closed.